Brazilian artist Ernesto Neto constructs his outdoor sculptures out of Corten steel. Originally inspired by a 1960s children's toy, Neto comprises his works of interlocking plates held together by gravity that balance in space. He also has been making chairs or stools that are intended as functional furniture, for either indoors or outside. 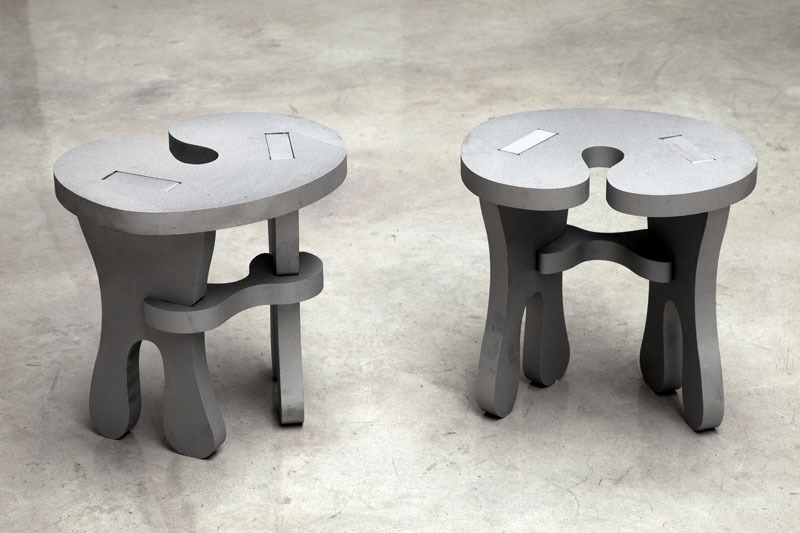 The stools can be positioned for viewers to sit and contemplate Neto's work or can simply be purchased on their own. They are available in sets of two. Neto also fabricates indoor wall and ceiling pieces made out of string as well as stretchy, stocking-like material filled with spices or beads. John McCracken started developing his "surfboard" style while studying art in California in the 1960s. He is best known for his minimalist planks: monochromatic boards which lean against the wall at an angle. He uses industrial materials and techniques, such as sprayed lacquer and pigmented resin, to create the highly-reflective, smooth surfaces which have gained him international recognition. In addition to the planks, McCracken designs free-standing large-scale outdoor structures in column-like shapes. 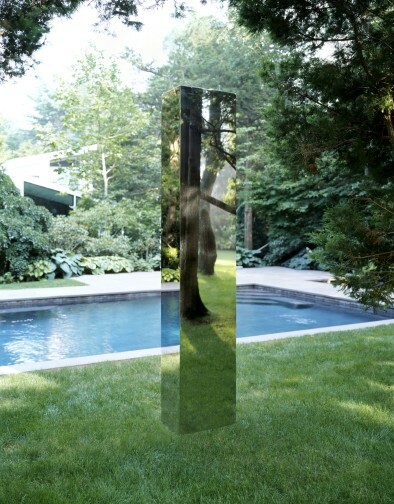 These works, although impressive in size, appear to be almost invisible as they reflect their surroundings. Surprisingly this flawless surface can withstand most environmental conditions and climates, including snow, hail and, of course, the ocean's salty waters. 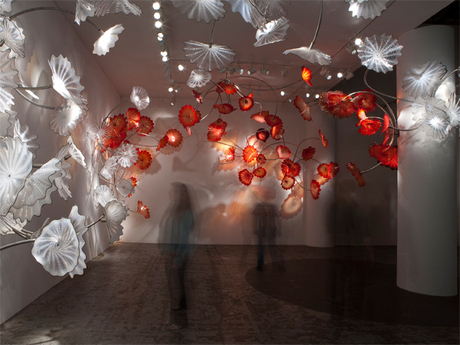 Renowned sculptor and glass artist Dale Chihuly continues to impress with unique installations of blown-glass elements. These gorgeous flowers dramatically move across walls, ceilings and columns, capturing light and color while altering the architectural space they inhabit through their grand environmental gestures. 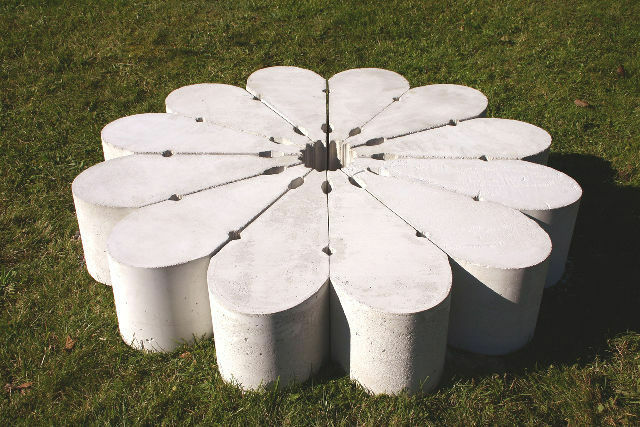 Each "hub" or grouping contains between 6 and 20 flowers each so they can stand on their own or remain a spectacular indoor garden. 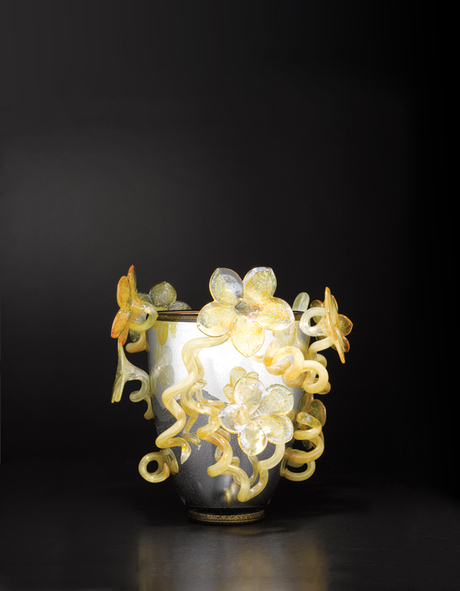 For those who don't have the space for such grandiosity, Chihuly has also created a series of silvered tabletop and pedestal-size sculptures. He calls these groupings Cylinders and Venetians. welcomes the imprints from the surface variations that poured concrete leaves behind, while conjuring up images of classical columns drawn from the history of architecture. 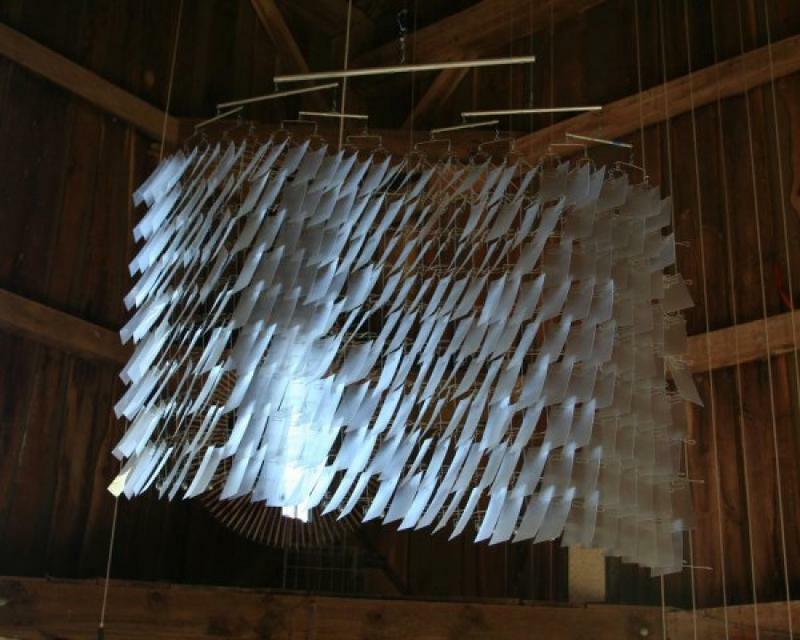 Tim Prentice is a kinetic sculptor, working in a variety of light-weight materials including aluminum, stainless steel, feathers and more recently Lexan. Prentice investigates the shape, form and flow of wind currents in order to actually make air visible. The intriguing structures and reflective metals he uses enable the sculpture to soar or undulate in response to its environment. An architect by profession, his training has enabled him to design commissions with a sensitivity to their surroundings whether they be for large corporations or private collections. He lives and works in Connecticut. Chinese artist Liao Yibai infuses his work with wit and originality. 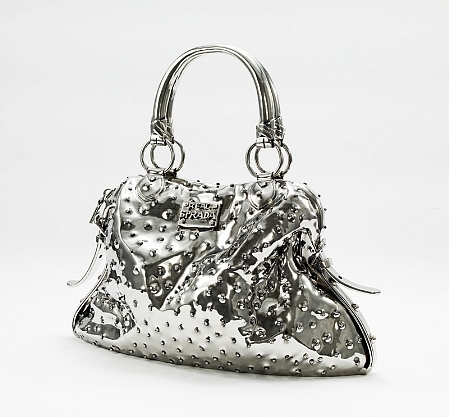 By exploring our cultural obsession with what is real and fake, Yibai creates his own brand of luxury labels through his exquisitely detailed hand-welded stainless-steel sculptures. Making us question our values, the oversized watches, rings, handbags and phones confront the astounding presence in today's society of the infinite number of logos and fashion symbols. 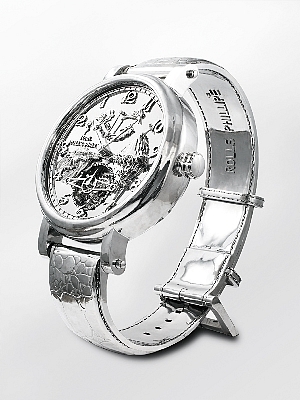 There are various sizes in his repertoire, from tabletop to pedestal-size to a monumental 7-foot high rendition of a wristwatch. 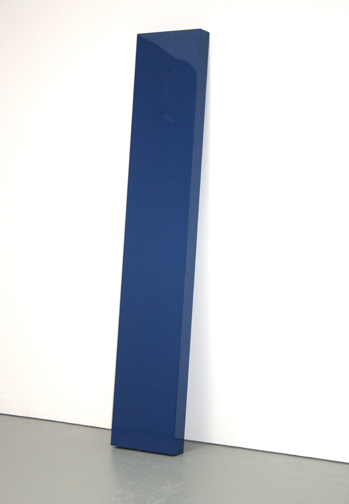 The sculptures by Jacinto Moros are more like drawings in space or brushstrokes of color. There are no straight lines, only bends, curves, twists and loops made out of laminated wood, ebony, and Formica. 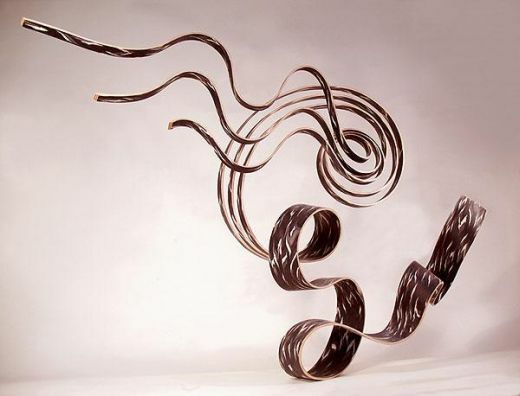 These shapes are reminiscent of curls of smoke spiraling from an extinguished candle, dancing ribbons thrown in the air or the slithering movement of snakes. 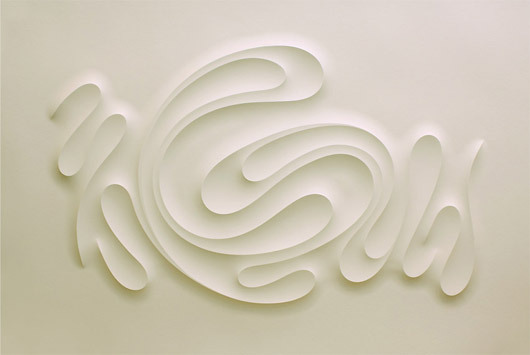 Moros also creates reliefs on paper inspired by his sculpture. 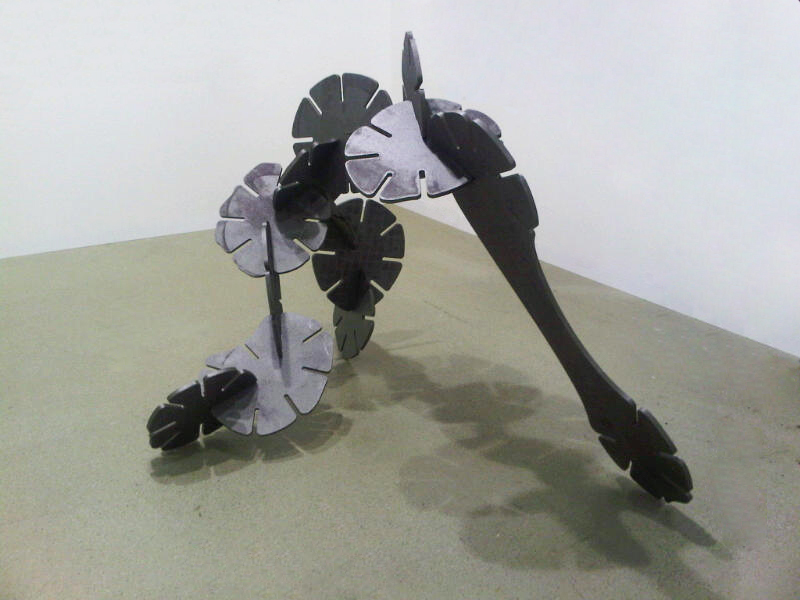 He lived and worked in New York in the 1990s but currently resides in Madrid, Spain. 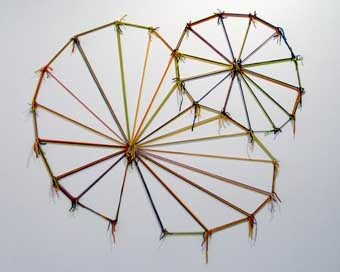 British artist Judy Pfaff is neither a painter nor a sculptor but uses materials and techniques associated with both. 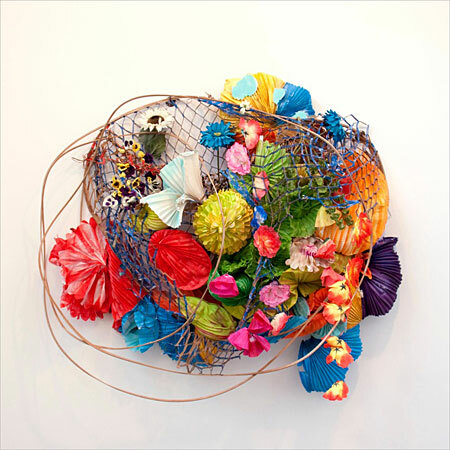 Her works range from expansive wall collages to site-specific installations, challenging the boundaries of two-dimensional and three-dimensional representation. 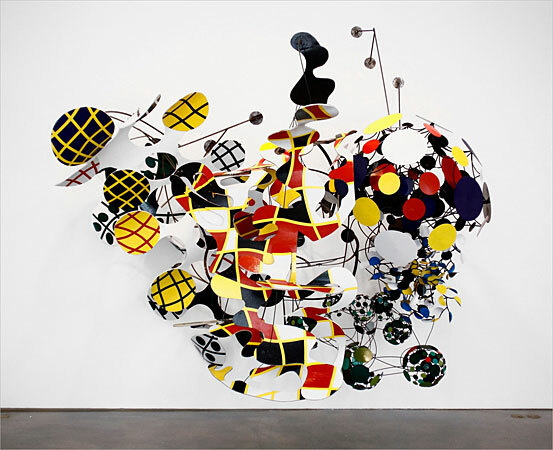 Pfaff's art is often loaded to an extreme with elements of all kinds. They seemingly are piled masses of objects scavenged from nature on top of one another. However, upon closer inspection, mixed in with the found gourds, leaves, and coffee filters, the material is composed of paper, artificial flowers and black aluminum foil. Prices can start around $10,000 for smaller works and range in the mid $50,000 - $80,000 but of course go up to six figures for monumental-size sculpture.